And it made her feel kinda down with it. So I do sympathize but guess what? Sympathy ain’t gonna get you or my awesome client anywhere! I can tell you how much I understand your pain for as long as I like but guess what?! It is an indulgence that gets you nowhere to think that anything external to you is the problem. If you EVER catch yourself thinking that ANYTHING outside of you, is the problem then it is time to have a change of mind. I need you to understand, honey – EVEN IF IT IS OBVIOUS that it is something external’s fault, you cannot change that and so it does not help you to focus too long or hard on that. Always, your focus must be on the things YOU CAN DO! There will always be things outside of your control and people are included in that and so dwelling on them, is pointless. They are not responsible for your success – YOU ARE! So, do not give your power away by allowing yourself to think for even a second that anyone or anything outside of you, is responsible for you not getting ahead. THIS CANNOT BE YOUR TRUTH! You are more powerful than that. There is always a way to where you want to go but if you tell yourself that forces beyond your control are getting in your way, your very powerful brain takes that as a signal that it needs no longer think up new solutions as you have now hit a roadblock. It is simply an obstacle and you can find a way around, over, through, under it! Cultivate the thinking that there is ALWAYS a way to get whatever you want. Even if you choose not to use the way, then it is a choice you are making and that is more powerful than feeling like you are a victim of the whims of whatever outside of you is controlling the day! 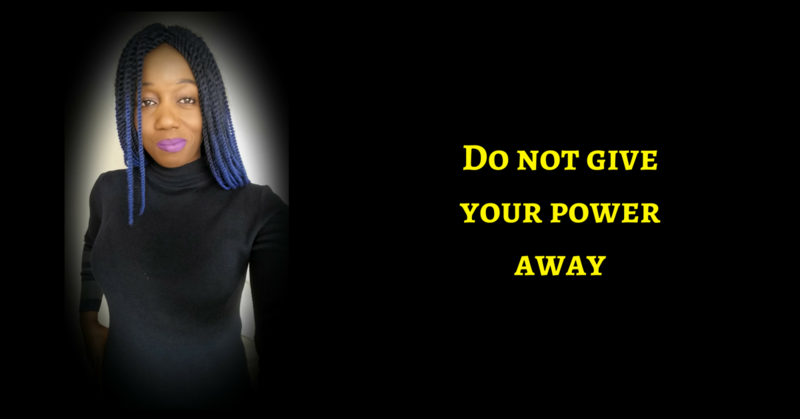 Ultimately, DO NOT GIVE YOUR POWER AWAY! And continually work that powerful brain to find solutions to any obstacles that come your way. Even if that obstacle is a person. You have the power to overcome so let’s get to it. PS – Every day, you are experiencing situations that your current way of thinking does not allow you to overcome. You need to be immersed in a new way of thinking and feeling and being and acting. Honey, you are not living to even a tenth of your potential! And it is time that you stirred up the power within you. And that is what CLEAR. FOCUSED. PRODUCTIVE is about – Immersing you in a new way to think, feel and act that results in you making at least $5k a month online in your own business. Lets get you making a difference and making money now. And just in case there was any doubt, working with me will be refreshing and challenging because I will cause you to question the way you have been conditioned to think. And because I do that, you will increase your income. Your current actions and thoughts got you here. Your new ones will take you to a new level. If you are willing to bring your ‘A’ game to the table then join CLEAR. FOCUSED. PRODUCTIVE immersion bootcamp now – In 30 days, you will not even recognise who you used to be. Hi Rosemary. That’s very powerful advice, and a reminder that we all need to hear every now and then. Thank you for that. There is always a solution that is in your control. Even if you see the problem is the people, then maybe you’re attracting the wrong people and need to change something to attract the right ones. When I see something now working, I take a step back from the situation to get a different view of it. What is working and what isn’t. Keep the things that are, change something with the things that aren’t or replace them completely. Thanks for sharing your message Rosemary. You are welcome. IT is a pleasure to share my thoughts. Yes, I do believe that there is always a solution. It is not always easy to find but it is there. Thanks for stopping by! 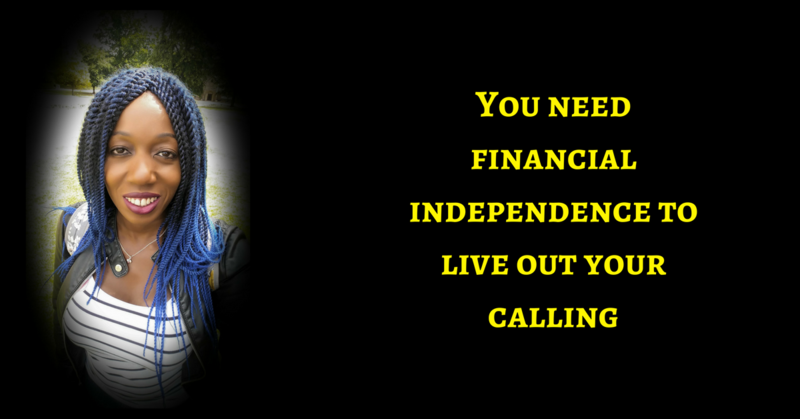 Without Financial Independence, How Can You Live Your Calling?